The Finnish Lapphund temperament makes him a lovable companion, but a terrible guard dog. He's not interested in protecting your property. He'd much rather make friends with anyone who comes up to your door! 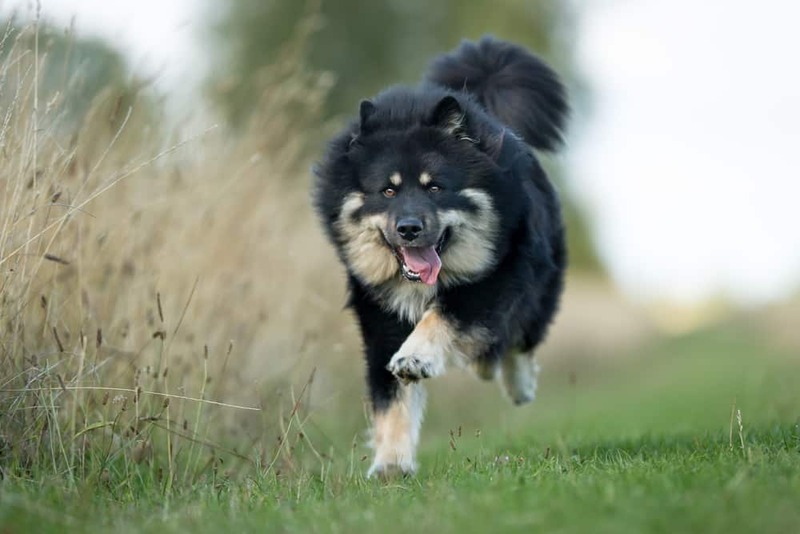 There are five traits concerning the Finnish Lapphund temperament that will tell you whether this is the dog for you. The Lapphund has a keen sense of hearing, and he is very alert by nature. He needs to be, in order to be a proper herding dog. However, while he is alert, he is by no means a guard dog. His typically friendly nature betrays him on that point. He is a very curious dog by nature, so be sure to keep him in a fenced-in yard or on a leash while outside. If given the opportunity to explore, he will take it, so be careful. On that note, while Lapphunds are in their element in a large, spacious yard, you can also keep him as more of an inside dog if you prefer. He'd be just as content spending all day inside with his family. The Lapphund is a remarkably companionable dog. He gets along well with other dogs and animals, and he's very good with children. If not properly socialized, he can be aloof around strangers, but he's not normally shy. The more people and animals you introduce him to as a pup, the better he will get at his people (and animal) skills. The Lapphund is a faithful dog who likes to keep his family as close to him as the animals he herds. He has a strong pack mentality, and he is faithful to his pack and wants to be around them all the time. The Lapphund is a calm dog, preferring to observe and report, rather than run out into the fray like a crazy person. However, he knows when a situation calls for him to be more energetic and vocal. This is the very definition of a herding dog: observe the pack, and correct things when they start to go wrong. Yet, he can also become too vocal if you don't train him on when and how it is best to use his bark. If left unmanaged, he will bark at every little thing that crosses his path, making him the bane of the neighborhood. The Lapphund is fearless in the field. This is why, despite not being one of the largest dogs, he is still able to successively herd large animals like reindeer. The Lappie started out working as a reindeer herder for the Sami people of Norway, Finland, Russia, and Sweden. Once snowmobiles came around, however, the Samis preferred using shorter-haired Lapphunds for herding. The long-haired Lapphund is still prevalent, though. In fact, voters ranked the Lapphund as the sixth most popular animal companion in all of Finland! The best way to train a Finnish Lapphund puppy is to socialize him early and often. From the time he's about 7 weeks old until he is around 4 months old, the more encounters and life experiences he has, the better. Take him around the neighborhood. Take him on road trips. Take him to friends' houses – especially those with dogs. The more people and animals he meets, and the more places he sees, the more manageable he will be as an adult dog. When it comes to training him on something new, he is intelligent and a fast learner, but he can also be independent or even stubborn. The best way to keep him from doing something he shouldn't is to keep him company. The Lappie is a pack animal, and he grows distressed when his family is not around. For this reason, you should consider another dog if you have a schedule that keeps you out of the house for long periods each day. When left alone, the Lappie can grow bored and despondent – and then take out that negative energy on your house. 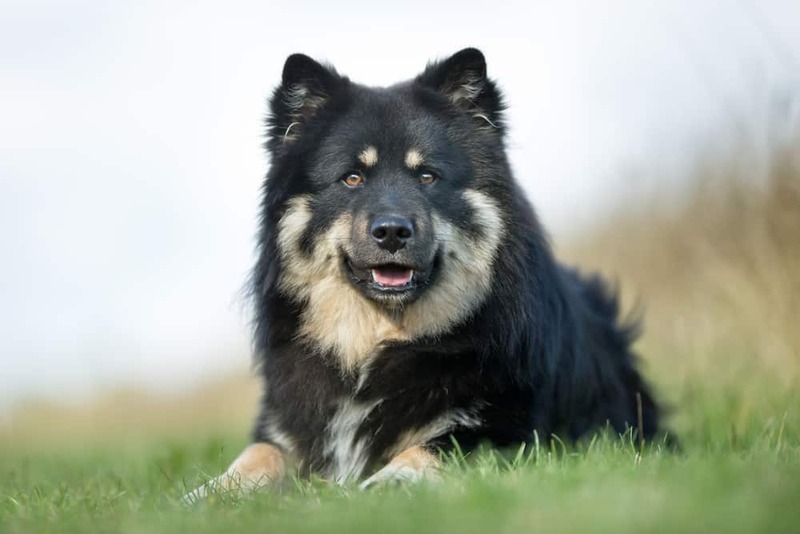 For help with training your Finnish Lapphund look at The Online Dog Trainer by Doggy Dan. Doggy Dan is an expert Dog Trainer based in New Zealand. His online resource contains Hundreds of Excellent Dog Training Videos that will take you step-by-step through the process of developing a healthy, happy well-behaved dog. Brush the Lapphund weekly to keep him looking clean and snazzy. You only need to bathe the Lappie when he gets dirty. He doesn't really get that “stinky dog” odor that a lot of other breeds get after they go a while without a bath. You should never shave a Lappie's coat, as this can interfere with their body's temperature regulation. As for Finnish Lapphund colors, a White Finnish Lapphund is not unheard of. Additional coat colors include: black, sable, wolf-sable, brown, and even red. 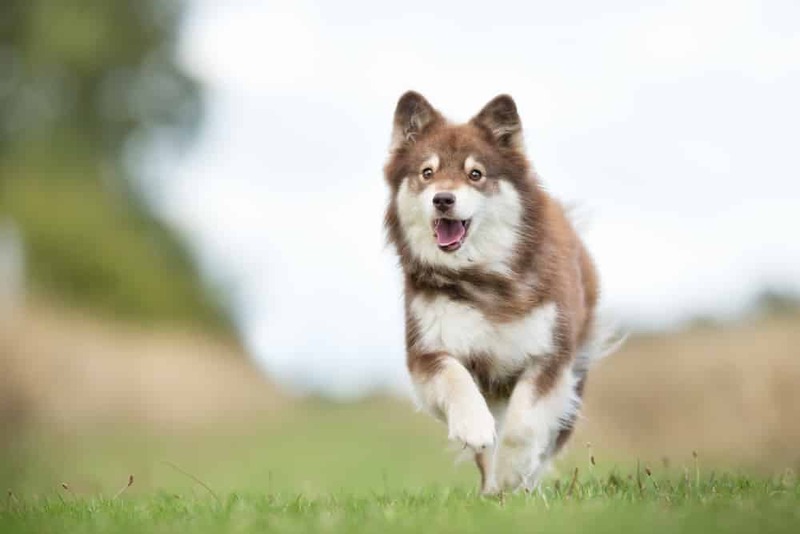 The Lapphund is a calm dog, so he doesn't need too much exercise to keep him happy. A long walk every day is usually enough to satisfy him and keep him healthy. Lapphunds are not active about their own exercise, so you have to help them along. Typically, it is a good idea to play fetch with them, or to encourage play with another dog, if you have or are friends with one. Most Finnish Lapphund puppies are healthy. However, since most of the research on the breed has come out of Finland, it's difficult to tell how well the dog does away from home. 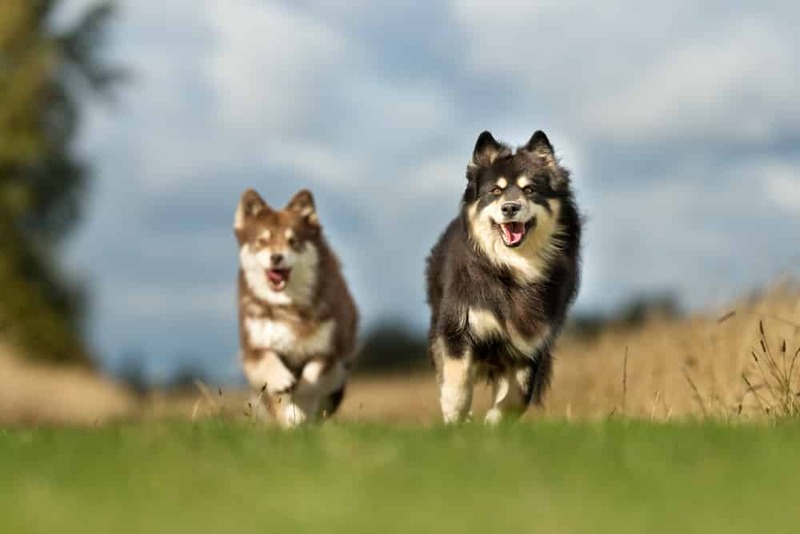 There are only three health conditions that seem to really affect the Lapphund, and even those occur in lower rates than in other breeds. The average Finnish Lapphund size is between 16 and 19 inches for a female, and between 18 and 20 inches for a male. The Finnish Lapphund's life expectancy is between 12 and 14 years. Note: Our Health is #1 Priority. It should be no different or your Finnish Lapphund. But you need to help him. The Ultimate Guide to Dog Health is the answer. This handy guide will help you recognize the symptoms of the health problems above and others you may not suspect. Get the knowledge to stay ahead of terrible issues that can rob your lovely Lapphund from vigor and life. Help your friend make it to 14 yrs+ without pain and suffering. Now that you've decided on a Finnish Lapphund, how do you go about purchasing one? 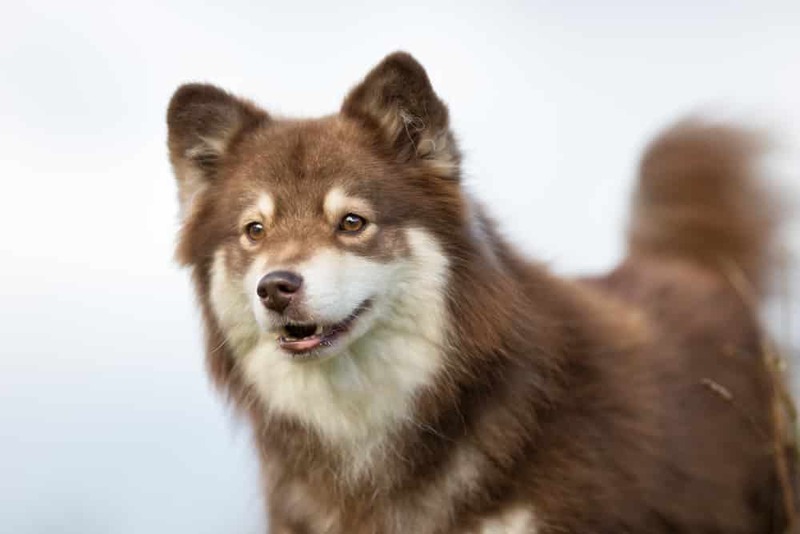 You can find a Finnish Lapphund for sale either through a breeder or from your local animal shelter. The average Finnish Lapphund price is between $600 and $800. This price varies based on the breeder selling the dog, the location of the breeder, and the pedigree of the dog's lineage. 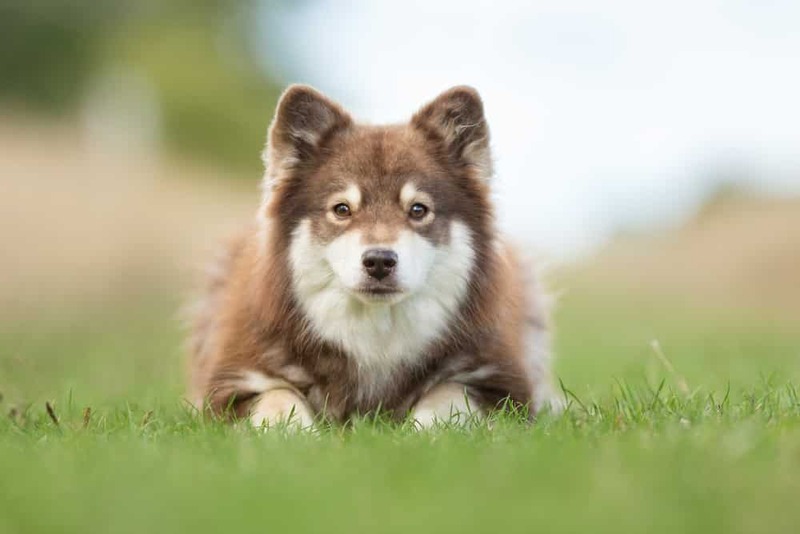 If you are researching Finnish Lapphund puppies for adoption, you may be able to find one at your local animal shelter. A Finnish Lapphund adoption will always cost less than a purchase from a breeder. If at first, you don't succeed, though, try, try again. Shelters are always getting new dogs in, so you just never know. If you're looking for a Finnish Lapphund breeder, a good place to start is The Finnish Lapphund Club of America. If you live in Alabama, California, Michigan, New Mexico, or Wisconsin, then you're in luck. These are the areas the website provides insofar as breeders they support. Else, prepare a list of breeders you're interested in and don't be shy of asking questions. Sometimes it's not so much the answer you get, but whether the breeder will even answer the question at all, that tells you all you need to know. Conclusion: Why the Finnish Lapphund? The Finnish Lapphund temperament makes him a joyful addition to any family. So long as you properly socialize him, he will love anyone and everyone. Adults, children, animals, it doesn't matter, so long as they want to be his friend. Lapphunds that lack social skills aren't aggressive, timid, or mean. They can just come off as snobbish to strangers until they get to know them. He is a faithful dog who loves his “pack” and feels distressed if his pack leaves him alone for long periods of time. He loves to spend time with his family as much as he loves to be doing work in the field. Previous post: Norwegian Buhund Temperament (Energetic, Friendly): Do You Have Room in Your Home (and Heart) for This Fun-Loving Breed?